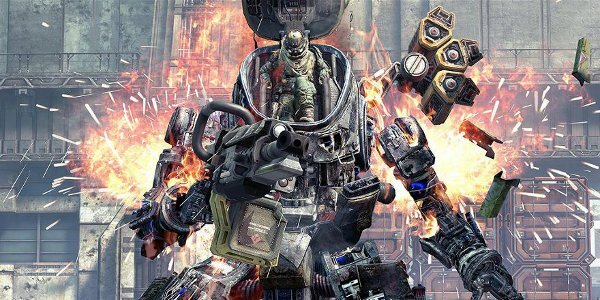 Even though Titanfall 2 hasn't been officially announced, the folks at Respawn Entertainment are flirting with fans about the upcoming sequel. Yesterday, during an interview on the The EXL Podcast, Respawn Entertainment's community manager, Abbie Heppe, made a few passing comments about Titanfall 2. She didn't spill the beans about anything in particular but did say that sequel development has its perks. The really nice thing about working on a sequel is we have established the core of what Titanfall is. We have assets, we have an engine, we have all of these things that we laid the foundation for in the first game that now we can really build off of in the second. So I think there's going to be a lot of stuff that people are going to be excited about. And that's all I can say. Now, before anyone starts speculating about Respawn lazily reusing old assets and engines, remember that Titanfall 2 hasn't even been announced yet. Obviously the folks at Respawn are working on a sequel, but we have no idea how far into the development process they are. So, even if they are using the same assets right now, there's a really good chance that things will change by the time Titanfall 2 hits the market. Her point is this: sequels are easier to develop. Even though we don't know much about Titanfall 2, fans of the franchise have several reasons to exchange celebratory high-fives. Last month, Respawn Entertainment founder Vince Zampella confirmed the sequel would be released on multiple platforms. Plus, the developer is planning to publish free DLC packs when Titanfall 2 eventually hits the market. Other than that, though, Titanfall 2 is a mystery. However, it's probably safe to assume that we'll see some kind of expansion in the weaponry department, and the "single-player" campaign will have a little more meat on its bones. But specific details - like the release date, for instance - are a long way off. In the mean time, if you're jonesing for a Titan fix, now would be a good time. Respawn recently mixed the newly free DLC maps into the multiplayer rotation.